Miles/ Christian Cameron was born in Pittsburgh, Pennsylvania in 1962. He grew up in Rockport, Massachusetts, Iowa City, Iowa, and Rochester, New York, where he attended McQuaid Jesuit High School and later graduated from the University of Rochester with a degree in history. 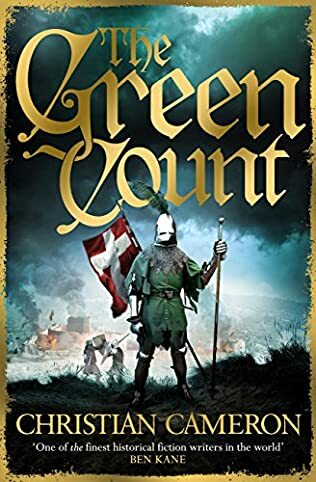 Miles Cameron burst onto the fantasy scene in 2012 and quickly established himself as one of the best writers in the genre, not a huge surprise given that he is also Christian Cameron arguably the best writer in Historical Fiction genre. In both genres he takes all his knowledge as a soldier, intelligencer, historian and re-enactor and couples that with a writing ability that is the envy of many established writers. 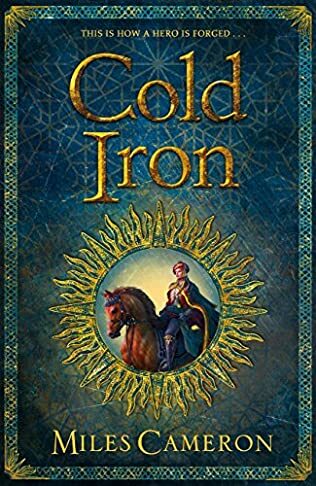 The big worry for any reader and writer in a new genre is that when a series is as good as The Traitor Son cycle, then what comes next is it possible to reach that same heady heights as series one? and TSC is one of the best epic fantasy series you can find so that’s a tough ask. But Miles/ Christian gave us Master and Mages: Cold Iron, somehow he managed to create yet another world, yet another world structure, magic ethos and more and made it new and original and even better than TSC. 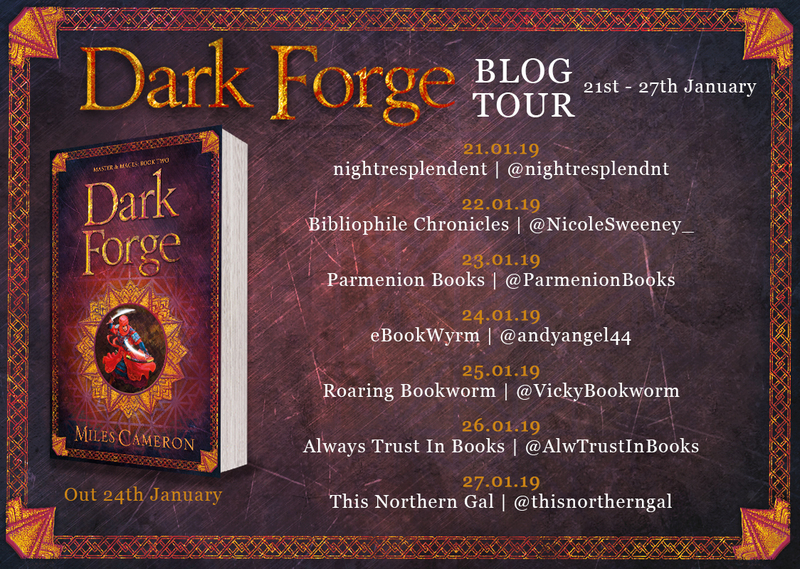 Dark Forge progresses that high skill level of writing and that extraordinary world building. But more than the world building you have layers and layers of politics, magic, friendship, honour and all written through the eyes of such real and honest characters. people you can read and love and shed blood with. 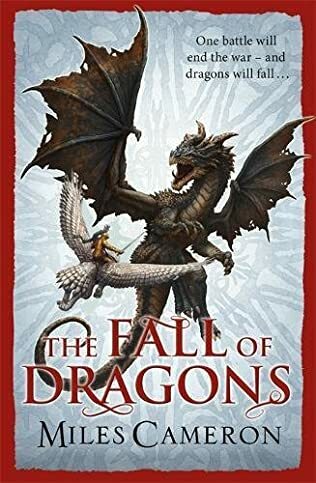 Thats the true power of his writing, the characters that while they live in another time and a place of magic, you feel totally connected to them, and so feel pulled ever deeper into the plots and the intrigues. 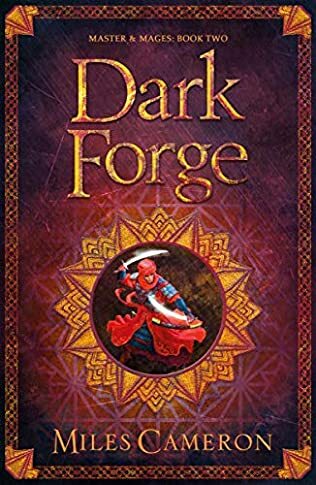 Be prepared for all out action and intrigue in Dark Forge, this book follows the further growth of Aranthur, The battles get bigger and more desperate, the magic deeper and more complex and the intentions of the dark forces more obscure…. can Aranthur unravel the mad schemes of the pure? can you the reader keep up with all the spy craft? the layers of mystery and misdirection? the huge scale battles and city sieges? Can you keep up with the one on one swashbuckling sword scenes? and the utter scale of adventure that’s both hugely complex and yet so simply and elegantly written. I loved this book, it was my first read for a few months, having taken time out… and what a way to return. Easily a contender for book of the year. Christian is a dedicated reenactor and you can follow some of his recreated projects on the Agora. He’s always recruiting, so if you’d like to try the ancient world, the medieval world, or the late 18th century, follow the Link to contact him. 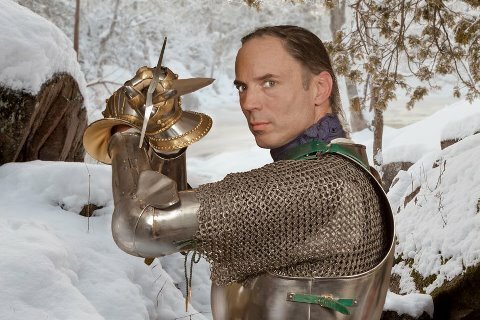 THE RED KNIGHT was one of the most acclaimed fantasy debuts of 2012 – and now he rides again. Prepare for one epic battle . . . When the Emperor is taken hostage, the Red Knight and his men find their services in high demand – and themselves surrounded by enemies. The country is in revolt, the capital city is besieged and any victory will be hard won. But The Red Knight has a plan. 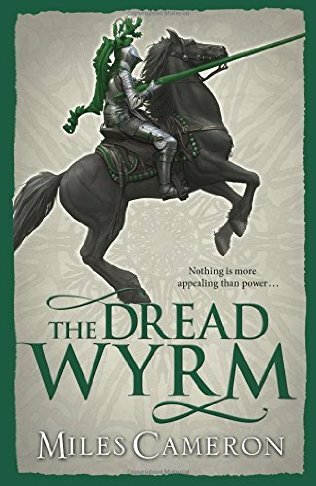 The question is, can he negotiate the political, magical, real and romantic battlefields at the same time – especially when intends to be victorious on them all? This is a book that has taken me longer than any other to read this year so far, not because its a bad book, very much the opposite. 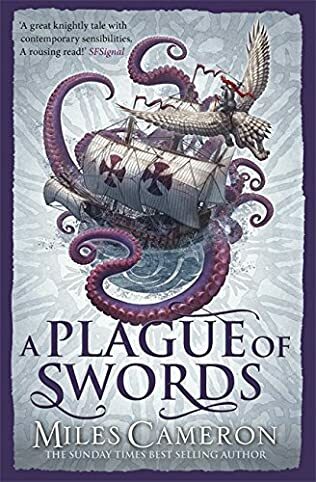 This book contains some of the most involved, imaginative and impressive world building i have seen, right up there with the depth and passion of lords of the rings. This is book two in the series following on directly from the fabulous debut that was the Red Knight, once again following the mercenary band headed by the Red Knight, the Captain. A man who is both a fighting Knight at the peak of his prowess, but also a magister (a sorcerer) very powerful and growing in skill all the time. Unlike many books we don’t just live the story from the point of view of the hero (the Red Knight) we get a Multi POV, we see the opinion and perspective of all, and as such get to see what the individual see’s, themselves a hero, or in the right. This multi POV is very encompassing, so much so that there are times it becomes hard to keep all the threads and all the names straight, hence the length of time needed to read the book. The world of the Red Knight is HUGE, made more so by the depth of detail, history and politics. This world encompasses much of the real world just with a twist. Outwallers that are native Americans for example, countries that resemble Canada, Great Britain, France, an empire that bears a striking resemblance to a decaying Byzantine empire, the fantastic Nordikans, who more than resemble the Varangian guard. All of these people and places imbued with the authors rich depth of historical knowledge. 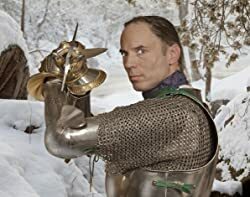 Miles Cameron being the highly renowned Historical Author Christian Cameron, a writer who imbues all of his work with not just literary research, but with physical research, hours spent in armour and training with weapons. 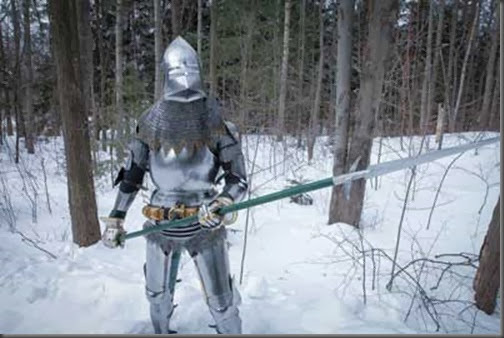 Walking the wilds of Canada wearing the garb of a true knight, all of this detail is powered into his books to stunning effect. Does Fell sword bring a better book with more satisfaction than Red Knight? yes and no, i found the ending more satisfying than Red Knight, but i think that may be because Red Knight had so much hard work to do with regard to world building, it was only the latter quarter of book one that truly showed the excellence of his writing talent. 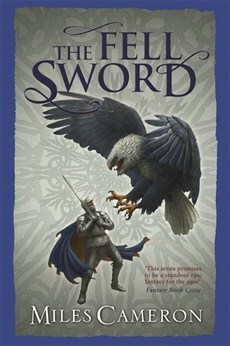 Fell Sword was a much more immersive encompassing tale, one that carries the reader into the depth of the wilds to learn more of the creatures who dwell there, more of Thorn and what drives him, or more importantly who. Most important of all it takes the reader into the depths of the politics of the world, a truly dark murky, back stabbing politics, politics fueled by ambition and magic. Most interesting is that Fell Sword reveals the true darkness from the wild, we now know what is coming, we just don’t really know why. Its exactly what a middle book should be, if not more, many middle books are a pause, this is anything but. Next year 2015 will see the third book in the series The Tournament of Fools, i highly recommend getting a Pre-Order in, i feel its going to sell fast. Its a book i highly recommend you read in large bites, not small. But most of all its a book i Highly recommend to all readers, not just fantasy of Historical fiction.